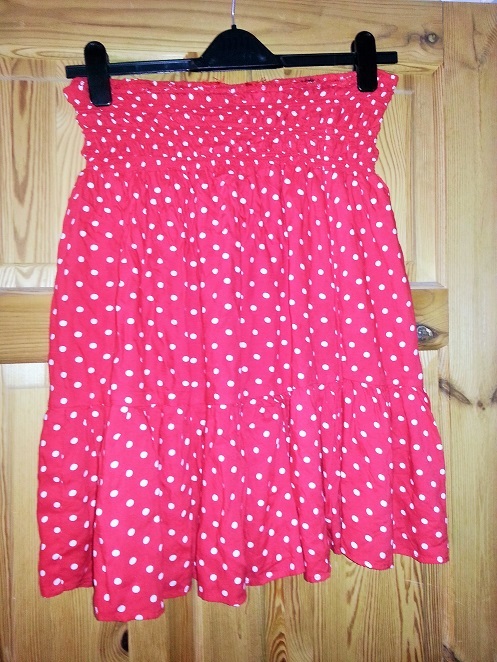 An unloved, ill-fitting red and white polka dot dress has been hanging in my wardrobe for at least four years, and I’ve been gradually chopping it up to try and make it wearable. The main problem was that there simply wasn’t enough fabric for the top. There is no elegant way to hide elephants behind a lamp post. 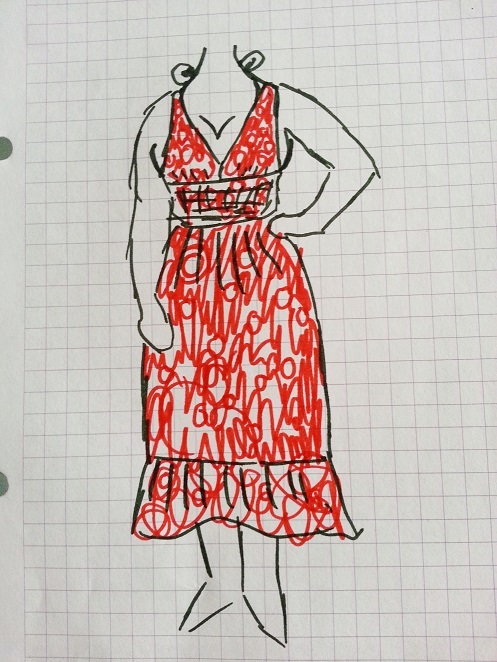 The original dress looked like this, and should have fitted like this too, but I can’t draw well enough to capture the horror! 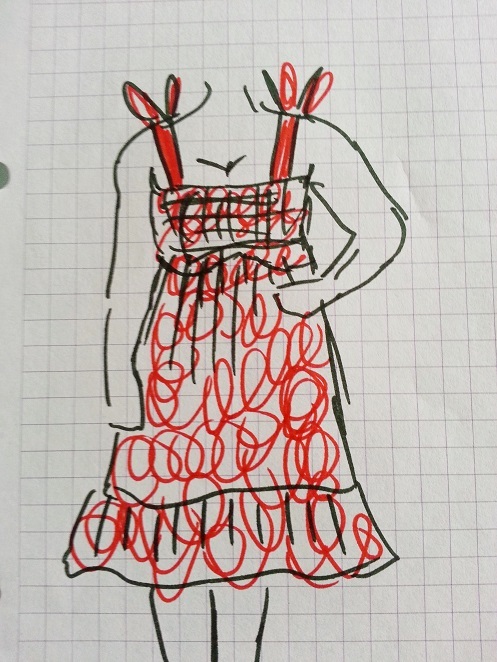 So it sat in the wardrobe for a year or two, and then I cut off the entire top section and added ribbons to make a sundress that could also be used as a skirt. 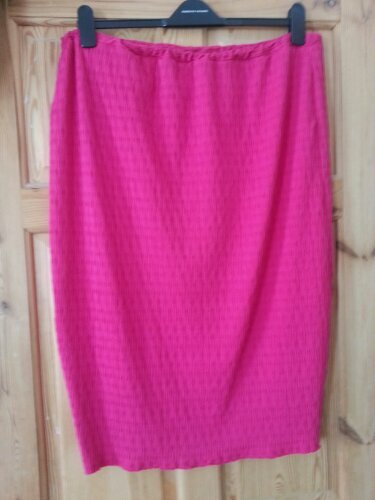 It still didn’t fit well and was a frumpy length skirt. So it sat in the wardrobe for another couple of years, and then a few weeks ago, it decided to become a mini-skirt! And suddenly, it fits, it works, it is something that I love and have worn five happy times already! Sometimes these things take time. Here’s an awkward subject, what do you do when your leggings get a hole? Throw them away? Get annoyed because leggings only last five minutes? Sew it up then be sad because the ridge of stitching rubs or because it just grows into another hole? Here is one simple solution, it’s not 100% invisible, but if you wear skirts and tunics over your leggings, nobody is going to notice. You need to be able to zig zag on a sewing machine, and have a needle for your machine that is suitable for sewing jersey. The correct needle has a rounded end rather than a sharp point so slips between the threads of the fabric rather than tearing into them and making a hole. This is often called a ballpoint needle. The other thing you need is some jersey fabric which is similar to your leggings. You could sacrifice your first holey pair of leggings and cut them up to patch all subsequent pairs. 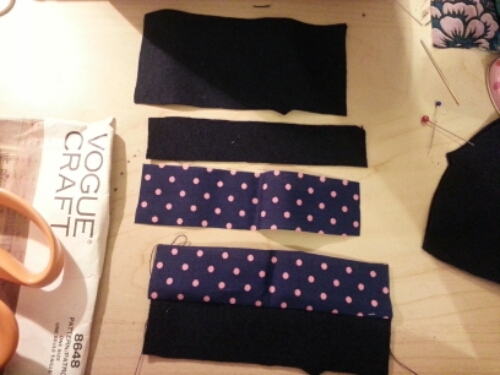 Or use an old t-shirt, or buy a 10cm strip of jersey fabric: you can patch many pairs from that small amount. 1. Hold your leggings in front of you and have a look inside at the hole. That pesky hole is probably on or near the seam, that seems to be where legging holes hang out. 2. Cut a piece of jersey fabric that is at least 1cm bigger than the hole all round. Pin it over the hole on the inside of the leggings. 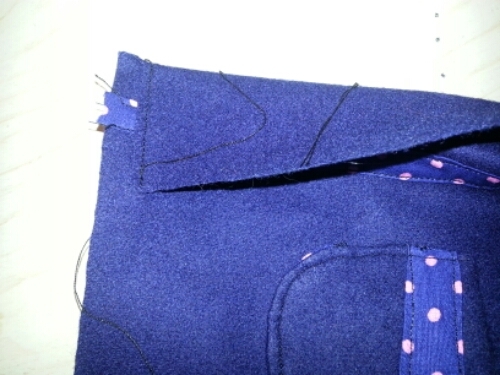 It doesn’t matter if the patch goes over a seam, two seams or no seams, so long as it covers the hole nicely. Your patch might need to be square, or long and thin. 3. 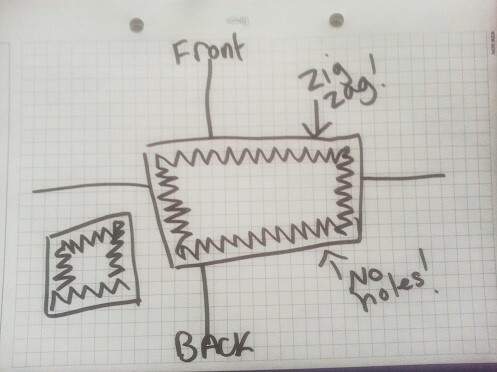 Set up your sewing machine and using a zig zag stitch, stitch the piece of fabric over the hole. It is helpful to take your time doing this as the elastic waist might try and get in the way. 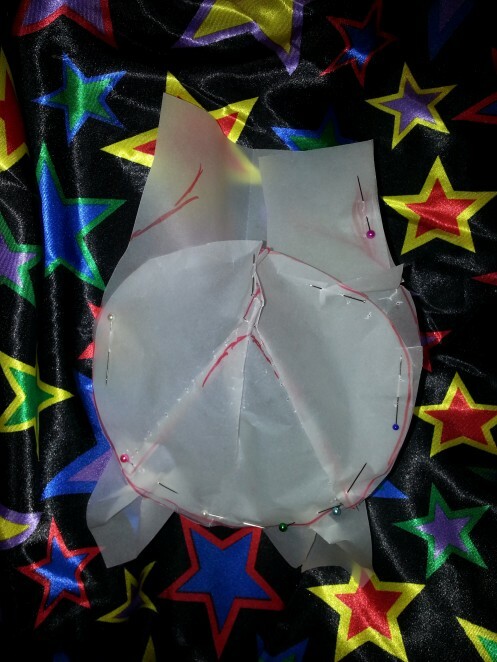 Try and get the patch as flat as possible, but be aware that this part of the leggings is cut and sewn to be a three dimensional shape, so you can only do your best. Secure the ends of the thread. There are lots of other complicated solutions to the problem, like hemming the patch before you add it but honestly it’s not necessary, and any additional hems can create seams which could chafe. 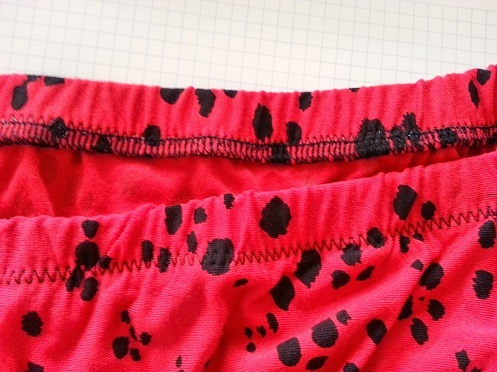 If you follow this tutorial, the holes should stay patched for as long as the rest of the leggings are wearable. There are no sewing police and nobody is coming round to inspect your patching! It is no fun when your legs are being boiled in a sweaty wasps nest, so I never wear tights. But I do love a cosy pair of leggings. Black leggings are great for every day, but I’ve been admiring some colourful leggings online, and my current big project is to transform my wardrobe into a treasure chest of all the things on my fashion Pinterest board. 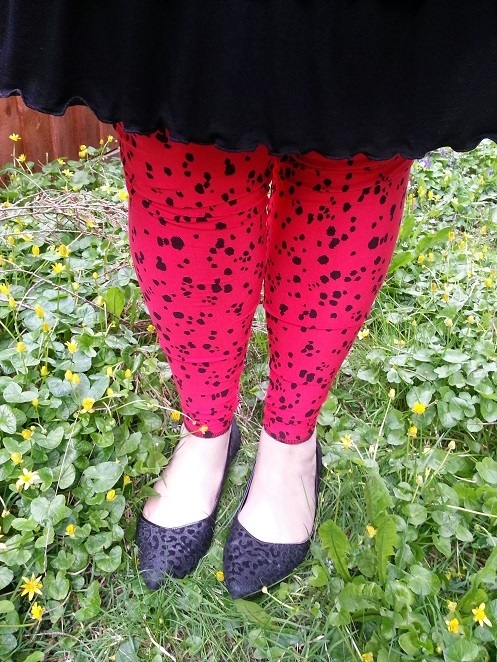 Plus there was some amazing red and black dalmatian print knit fabric on ebay! Time to learn to make leggings! 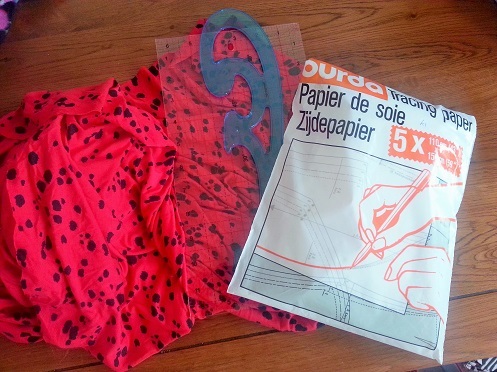 Here are the ingredients, I also used a pencil, some selotape, some duct tape and my overlocker. 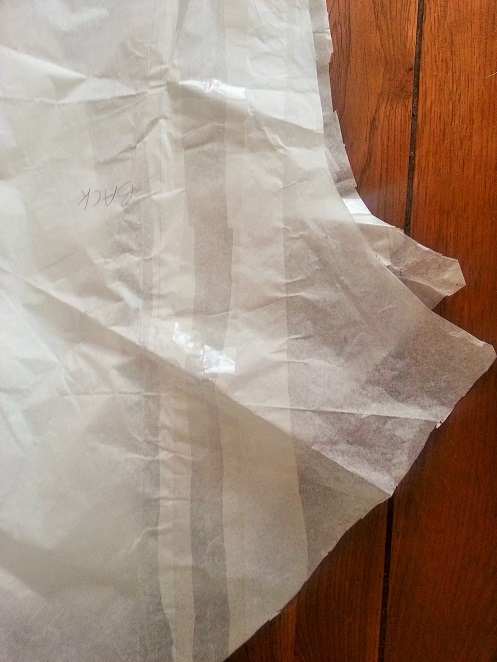 My least favourite thing about the process was this pattern paper which was very fragile and kept tearing. After reading lots of online tutorials, So Sew Easy’s leggings tutorial with a video showing the measuring process seemed like the clearest and easiest place to start. While I love So Sew Easy’s tutorial and am thrilled with the resulting pattern, I wish I’d know a couple of additional things. If you have a tummy, measure round your widest part too. 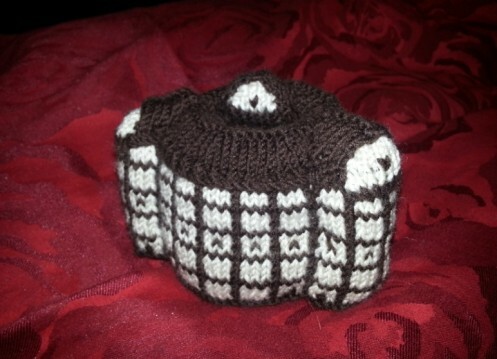 When I held the final pattern up against my body, it was obvious that I needed to modify it to add a little extra fabric to stretch over my cake storage facility. 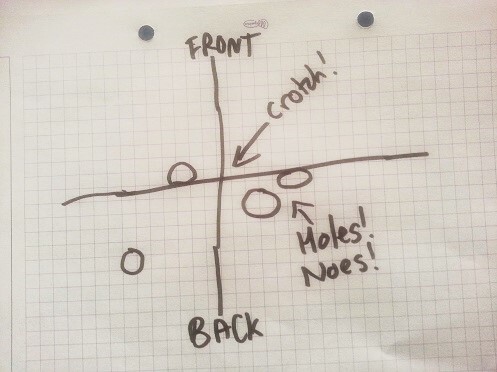 When you make the first mark on your paper 2 inches down on your centre line, this mark needs to be more than 2 inches down the paper if the difference between your front and back rise height is greater than 2 inches, or you will run out of paper when you come to mark out the waist of the leggings. I stuck more paper together when I discovered this, so all was not lost. The ankle measurement I took was too tight. The dalmation leggings are so tight on the ankle that while they are comfortable to wear, they are a squeeze to get on and off. And if I had hemmed them, they wouldn’t go on at all. I’ve gone back to my pattern and modified it to allow extra fabric on the ankle for the next pair. Better to modify the pattern immediately than try and remember this in the future! Also use the duct tape from the video to help with the measuring. It was easier to measure up my leg by securing the end of the measuring tape in place with the end of the strips of tape on the ankle and knee. The same trick works with another piece of duct tape to secure the measuring tape in place at the crotch – using the leggings I was wearing as a guideline. Sewing the leggings was easy, just a couple of simple seams. 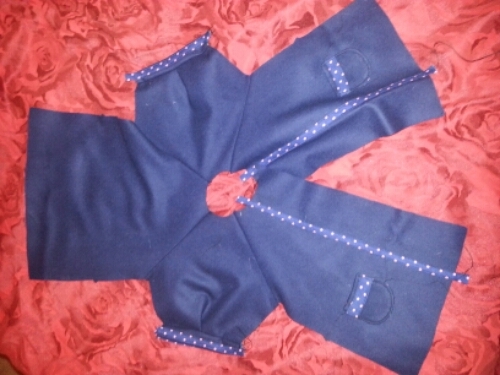 Spending extra time pinning the elastic carefully to the waist made it easier to gently stretch the elastic without slipping as it was sewn into position. It took a couple of hours to get the pattern just right, but only about 30 minutes to make the leggings. Now the pattern is perfect, the next pair should be even quicker! 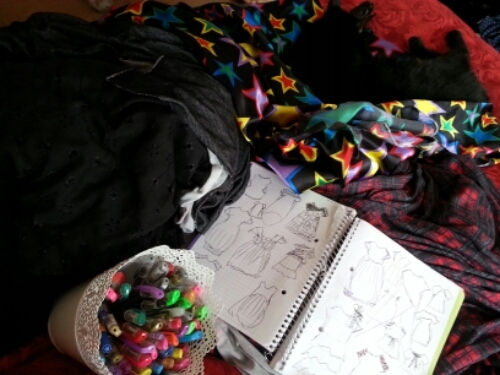 Freshly washed fabric, ideas, and OMG time. 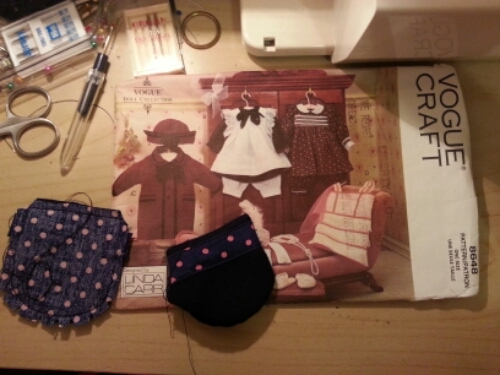 Real actual time to sew. Slightly overwhelmed by it. What to make? Finally finished. Many ends needed sort out. The bow has worked well and I’m really pleased with how it turned out. Sewing takes ages. 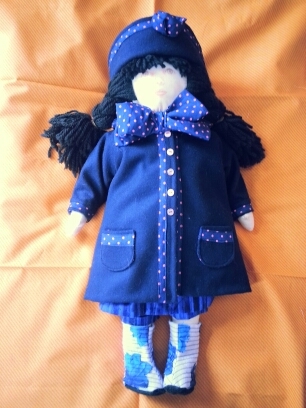 She’s wearing the coat over another outfit from the same pattern, B, a dress, pinafore and bloomers set. The boots are from the outfit pattern that came with the doll (vogue 8336). I cut the boot uppers from felt, cut out flowers from the main fabric and layed them on the felt. They were secured with rows of stitching and then made up following the pattern. Heading for the finish line now. The coat is hemmed, the velcro has been added and the hat is finished and just needs a little decoration. Instead of using ribbons to decorate, I’m using more of the cotton fabric. 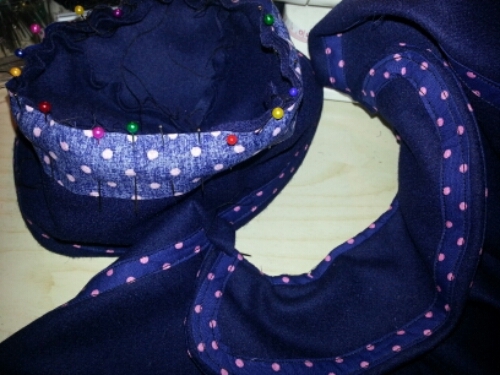 Have cut a big strip to make the neck bow, a much smaller one to create the knot of the bow and a medium sized one to gather for the hat decoration. 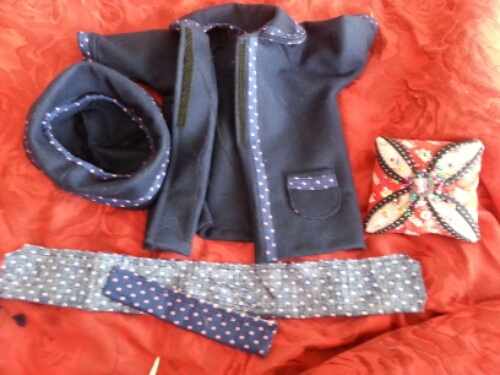 The buttons are decorative and the coat actually fastens with a narrow strip of velcro. 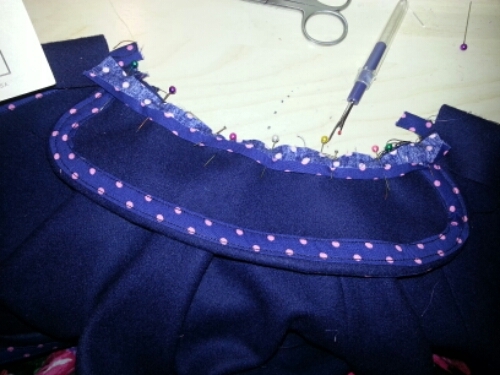 Top tip time – to stop your buttons going everywhere while you sew, use a pin with a head bigger than the button’s hole to secure them to your pincushion. Morning! This is the front of the coat. The side seams have been sewn and I’ve also spent some time with a needle, hand sewing in the ends, and stitching down the binding on the neck and sleeves. The hem is interesting. First step is to turn the front edge back on itself. Then add a short line of stitching above the edge. 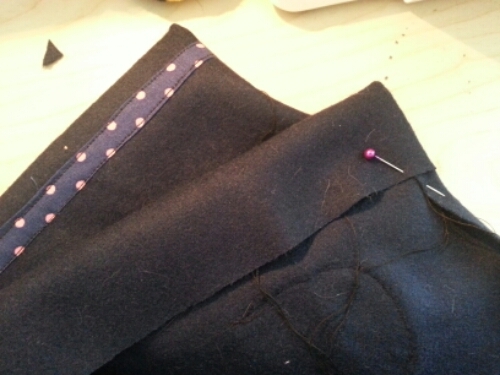 As the felt won’t fray, I’m now going to hem the bottom without turning again. Fortunate as it would be too bulky. 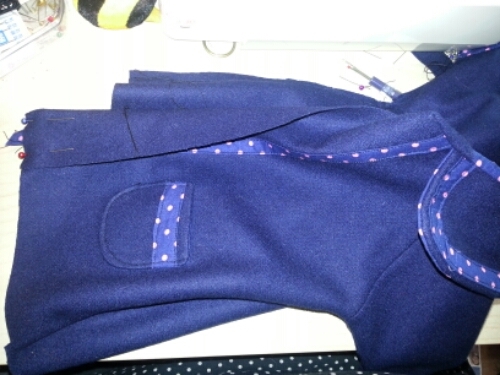 Just sewn on the front trim and pockets. Then joined the fronts to the raglan sleeves and the back. The trim might look a bit wonky but it’s better than I could have hoped! The pleat in the sleeve was easy to do but the instructions didn’t suggest to do them both facing backwards or forwards. Tried to do both forwards but one isn’t quite perfect. Unpicked and had another go which was imperfect in a slightly different way so just leaving it as it is now. The cuffs are supposed to be turned over inside then edge stitched on the top but it’s too bulky to go in the machine so I’m going to stich them by hand. These are the coat cuffs. 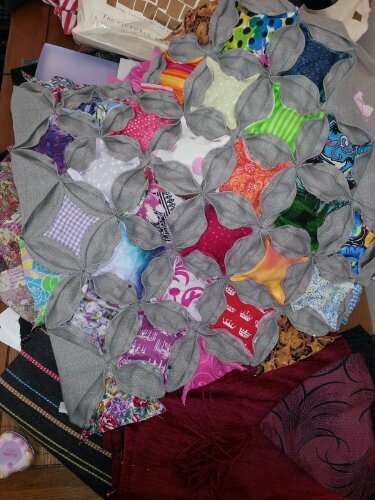 Just realised that the felt piece will be folded double and it would be too thick. 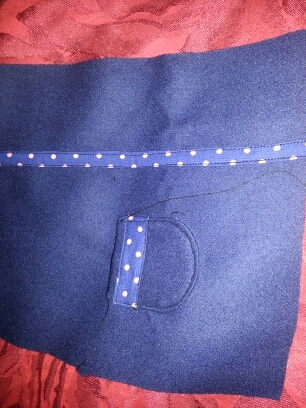 Have fixed this by cutting off just less than half (half + seam allowance), then making a matching piece in the cotton. Stitched them together and the bottom piece is one the finnished new cuff pieces. It has the same shape and size as the original piece but will not be so bulky. The stitching line between the two is on the line where the cuff folds. 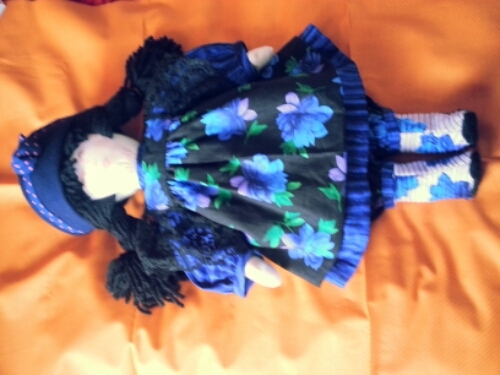 Meet Una, my beloved rag doll that I made as a school project back in the early 90s. 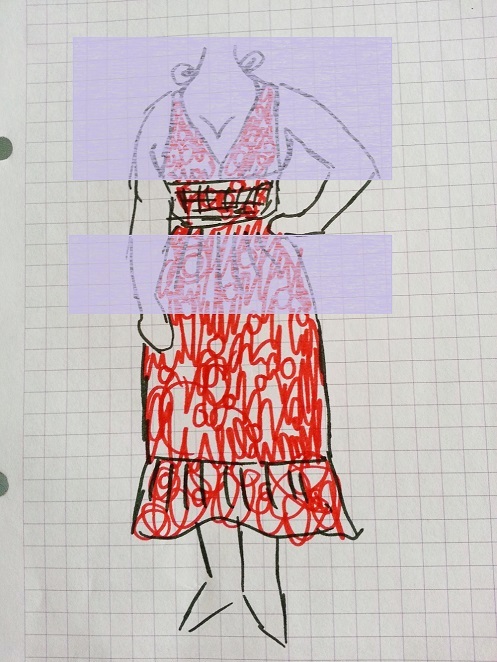 She’s from an out-of-print Vogue pattern 8336 which included the iron-on transfer face. Her arms and legs move on teddy bear joints and at the time was one of the most challenging things I’d ever sewn. Her emo fringe hides her eyes as mine did at the time, and her asthetic is more Winona Ryder than Laura Ingalls Wilder because I’ve never been one for twee. Finally finished the cathedral window cushion I was working on the other week. 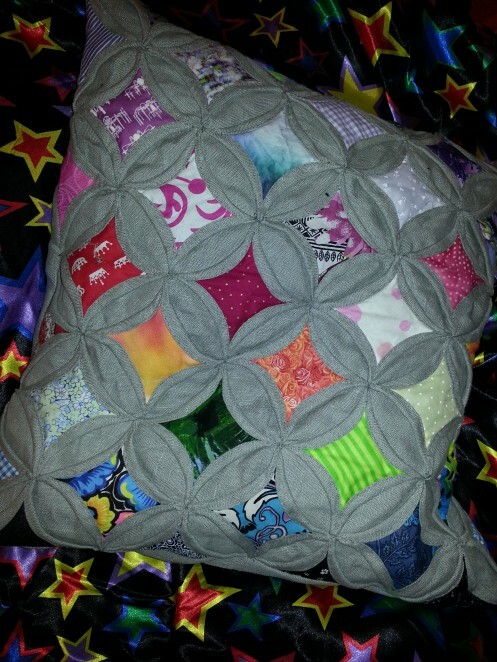 The initial inspiration was seeing this beautiful cushion on pinterest, and wanting to know how it was created. 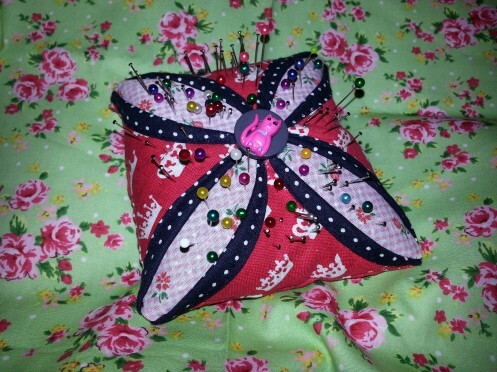 Googling lead to this cute cute free pin cushion pattern and tutorial. 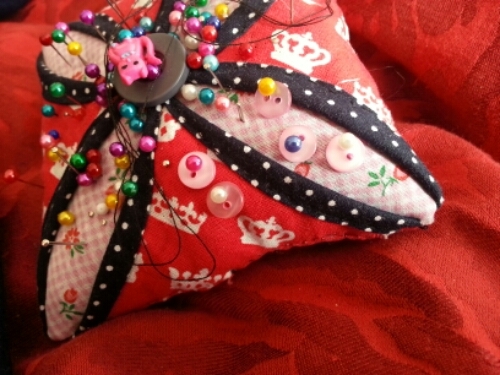 As you can see, that tutorial is great and was easy to follow I love my new pin cushion. I weighted it down with some 2p pieces in the bottom while stuffing to stop it floating off across the desk. Have since used it every time I’ve sewn. Both were entirely hand sewn, so took ages. One of my cats likes the cushion so much he’s slept on the fabric, the pinned project in progress and is now curled up asleep on the finished cushion. 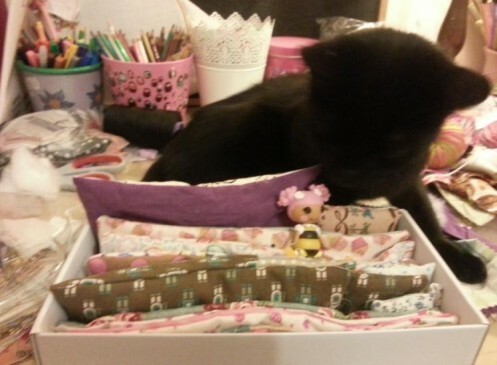 Tutors just don’t teach you how to deal with cats in your sewing when you’re taking a class. The cushion pad and grey linen are from IKEA and I used around 1.5m of the fabric, including the plain back. The linen was quite tough to sew, but has given the cushion a really weighty, sculptural appearance. Suspect both might have been a bit neater if I had cut the fabric more precisely, but still very happy with the results. The jazzy star satin fabric in the background is destined to become a David Bowie/clown disco party dress at some point in the future. The scraps were from my stash and there are some happy memories in those little pieces of fabric. Every bit of green, yellow, brown and blue in my stash is there, my stash is mostly red, pink, purple and black. Redressed the balance at the Knitting and Stitching show today with lots of greens and yellows. 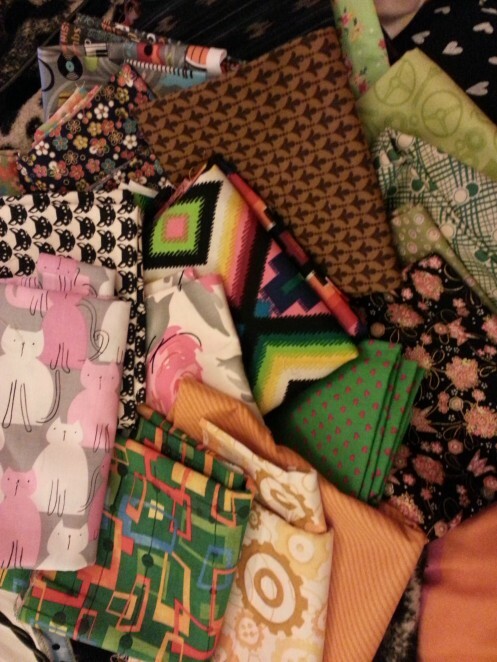 Planning to have lots of fun with these – think my next patchwork and quilting project might be to use them for a clamshells patterned cushion. My splendid six-year-old friend F was given some lovely little Lottie dolls for Christmas. 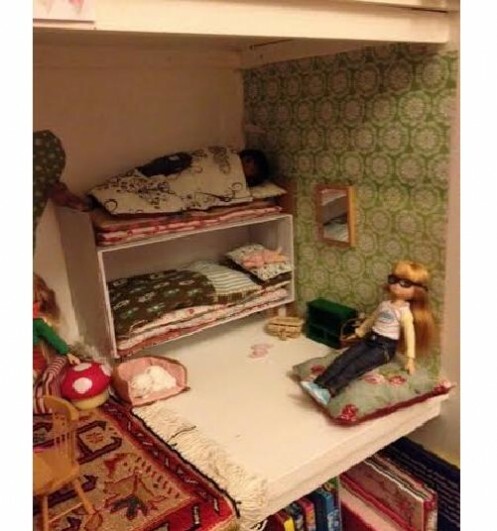 She and her mum are turning a shelf into a home for the dolls using odds and ends. 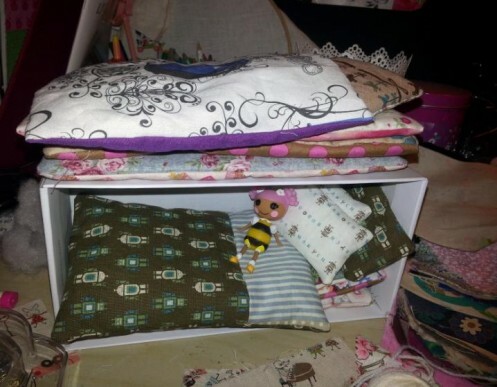 Mum asked me to make some bedding for this shoebox which magically becomes bunk beds when turned on it’s side. Each piece is made from rectangles of fabric sewn together and very lightly stuffed. There are 6 little matresses which pile up for extra comfort and two duvets with pillows. The size of the matresses was based on the size of the box. I made a paper template slightly larger to allow for seams, cut two rectangles from different fabric and machine sewed the two together, leaving a small gap for turning the right way round and stuffing. 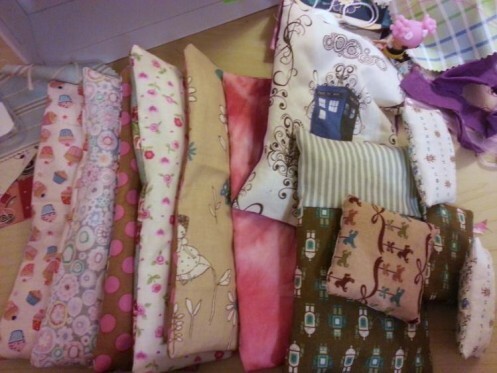 The duvets and pillows were done in exactly the same way, although I didn’t use templates as the scraps of fabric were generally only just big enough to make a rectangle. 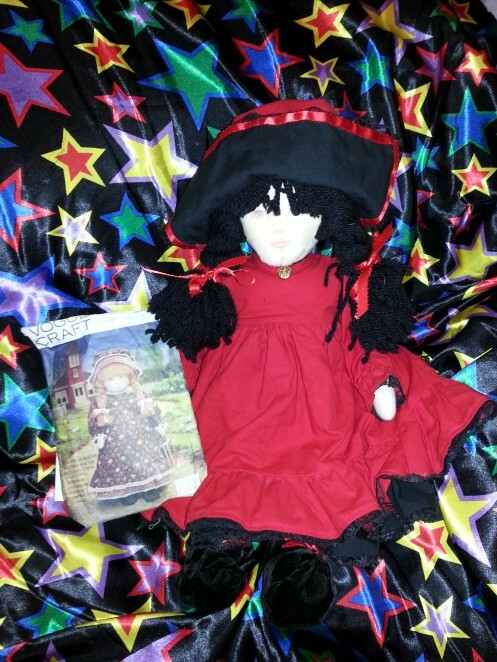 The award-winning dolls are themed around robots, pirates, ponies and other things which are much more intelligent and purposeful than princesses so the bedding couldn’t be too girly. They all fit snugly back in the box for storage, which impressed my kitten Stormageddon. And a late addition to the blog post, a picture of the bed in the Lottie doll house, with one little lass tucked up in bed dreaming of adventures in time and space. 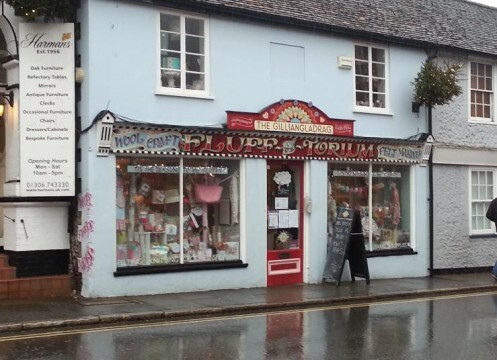 I made a little detour on a recent Christmas trip to visit family and popped into the Fluff-a-torium, Dorking’s finest purveyors of fluff. Even the outside in the rain it looks appealing, doesn’t it? Inside the shop more than lived up to expectation. They sell very nice yarn, cute haberdashery but are primarily focused on needle felting. The fluffymongers were very friendly and did not appear to mind that as a result of the rain, I dripped all over their floor. 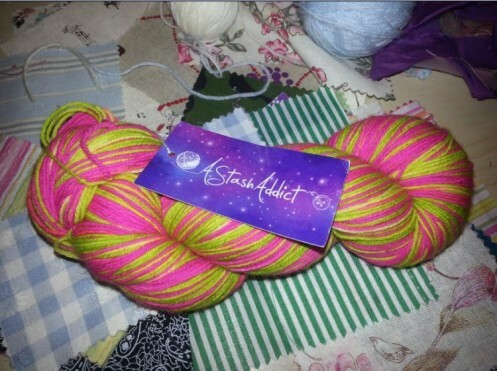 The yarn selection mainly contained good-quality popular basics like Rowan and Debbie Bliss, but there were some nice arty yarns including this skein of splendid British yarn from A Stash Addict which was just too tempting. Someday this yarn will be fancy socks! Also picked up the latest Arne & Carlos book, Knit-and-Crochet Garden. 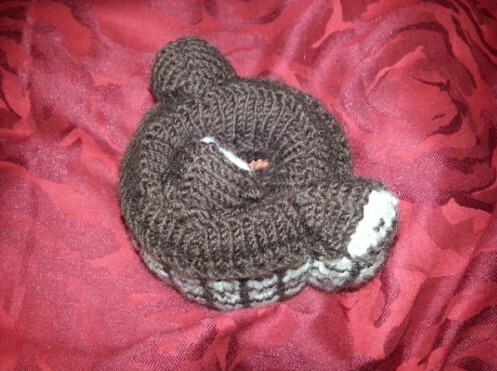 It has a pattern for a little mouse in dungarees! There are a couple of other interesting wool/fabric shops in Dorking, including The Quilt Room which has very pretty fabric. The other shops that sold yarn mostly offered budget options with lots of acrylic. Hubbie’s favourite thing about the Fluff-a-torium is that The Kings Arms is right opposite so he didn’t have to pretend to be interested in fluff. 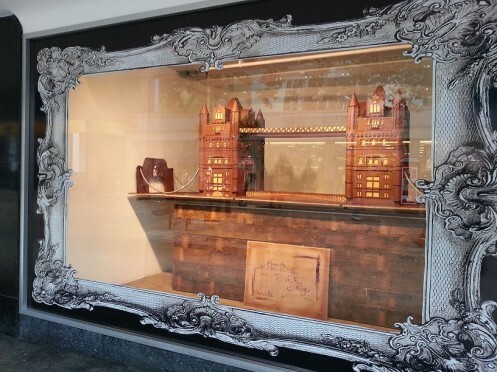 Croydon Village Outlet store in the old Allders building has a giant chocolate Tower Bridge in the window. Heartbreakingly there’s a sign for a haberdashery department, but no haberdashery department. The very splendid Zoe is a huge fan of Shakespeare and we have a shared love of the Shakespeare’s Globe Theatre in London. As we recently enjoyed the behind the scenes tour, I knew a little knitted globe would be the perfect present for her. Couldn’t find a pattern so had to improvise from pictures. Started with the roof because that’s the most distinctive bit and needed to be just right. Then I picked up stitches around the roof and worked the outside, followed by a circular base and the inner tube back up to the inside of the roof. The inner tube has three orange stripes to represent the tiers of seating. Finally the stairwells and stage roof were knitted separately and sewn on. 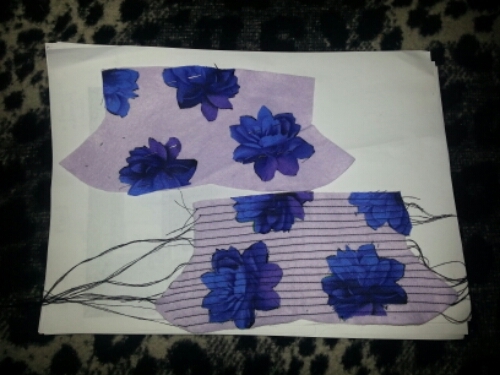 Traced round a simple jersey skirt I already owned and improvised a waistband at the top which is just a simple tube with elastic running through. The hem is just the selvage which has a nice wiggly edge and doesn’t look like it will fray so I used it as a design feature. Very 80s but this is what happens when you learn to make clothes from knits and jersey fabric after seeing the brilliant V&A club to catwalk exhibition.